Looking for open cart templates? We have compiled a list of best open cart themes for businesses, this list includes opencart themes with free download options too. Open Cart supports many awesome templates and the look and feel of it can be customized according to any business need. You can give it a unique and really beautiful look with a good template. Open cart is one of the most popular ecommerce platforms. Its is a content management system just like WordPress. However, OpenCart is more inclined towards creation of shopping system online for your website rather than content. If you are looking to add an e-store to your profile, then OpenCart is for you. You can set up your e-commerce store in no time through OpenCart. Sullen is a minimalist template by Open Cart. The template is cross-browser compatible, and it can be used on a lot of browsers without any difficulty. The template also has SEO integration, which makes your website more compatible for web search availability. Moreover, the template is jQuery friendly and supports a lot of programming spreadsheets. Fishing Store is a wonderful template offered by the Template Monster. The template is extremely special because it allows you to input captions under your images and products so that you can add mini descriptions to your page at any time. The navigation is completely layered and arranged in an accordion-style. The template is available for download in PSD and HTML version. The Minimaliste template from Niko Adi Nugroho is a beautiful design for download. It is free and can be used for commercial as well as personal purposes. The template is two-column theme, so move all your modules to left column from the right column if you want to make your theme perfect. You will end up with a perfection that is usable on any browser and version of OpenCart. Theia is a free template for download from OpenCart. The template offers a beautiful slideshow for products so that your products remain in showcase throughout the customers’ shopping experience. There is also a grid and list included with search option to make things easier. The navigation is also layered to complete the full package of template for any OpenCart user. Clean Lean is an OpenCart template to download for free from OpenCart Templates. It has great options for making your e-store a professional success. The template has a minimalist design with cross-browser compatibility. The banner in the template can also be customized easily so that you can create a wonderful shopping website in no time on any browser you want. Extreme Watches is a free responsive opencart theme for download from loftytemplates.com. This template features a cross-browser compatibility as well as search engine optimization. Furthermore, the template is available in multiple colors and has a beautiful responsive design. The template is perfect if you have a store for watches, jewelry, or accessories. The template also has customized icons and animation effects which can be installed easily. 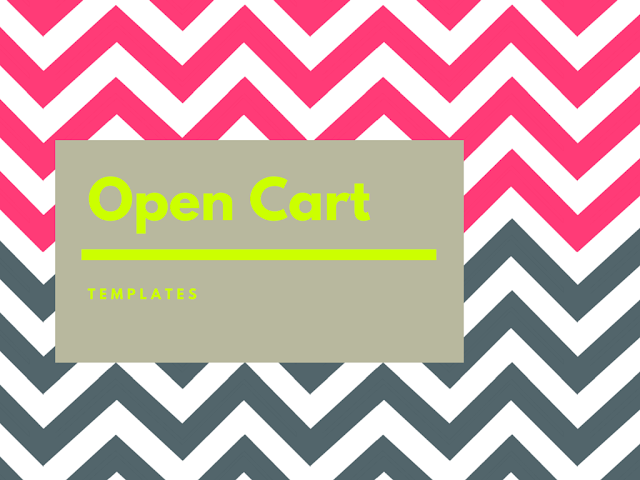 Template Monster offers a free OpenCart template. However, the template is not allowed to be used for commercial purposes. The template features a dropdown menu for the store featuring multiple levels of categories. Moreover, it has features of SEO as well as side-box banners. The template is available in multiple versions for download such as .PHP, .PNG, .PSD etc. and is cross-browser compatible. Carbon is a free theme from the website opencartstore.com. It has a multi-column layout and is fully compatible with OpenCart 1.5.5x. The theme also features a grid and list view of categories as well as configurable slideshow. The template has a dark theme and can be used for any of the web stores to give a professional look instantly in no time. My Store is a free template for OpenCart from loftytemplates.com. The template is compatible with all browsers and is an OpenCart 1.5x template. The template includes all files needed for the launch. It is search engine optimized and also further optimized for load speed and size. Moreover, the theme has a lot of jQuery effects and is free for download. Simplissimo is a beautiful template offered by Evo Themes. It is a perfect template with all the added features in order to improve functionality while offering a simple design. The template is efficient and can help your customer find anything they need on your store effortlessly and quickly. The theme is not only cross-browser compatible but also features widgets compatibility as well as option to create customized widgets. Honestly, finding professional templates online is a tough job. The templates above have been listed after a thorough inspection of designs at common template websites. A lot of themes are similar, except for content blocks or color schemes. Use any of the templates above if you liked them. Lisa Marina is a highly-skilled web-designer who has been designing interactive academic websites and portals for Assignment Gurus. Moreover, she blogs designing tips and tricks to make web designing easier for beginners.